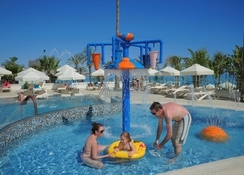 Make the family-friendly Nelia Beach Hotel your base during your stay in Ayia Napa. You’ll be treated to a luxurious room that’s spacious, well-appointed and fully furnished. Relax on your private balcony as you take in the beautiful views over the Mediterranean Sea and soak up the rays of the Cypriot sun. Take your pick from one of the excellent restaurants and bars with great food and live cooking or take to the streets and find even more incredible dining experiences that include fine food, atmosphere and some which combine both with views over the Mediterranean Sea. 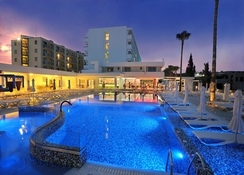 Hit the gym, the pool or grab a massage at Nelia Beach Hotel or head out and try the warm golden sands of the beach, take a relaxing walk along Ayia Napa Promenade. There are also two water parks, two museums and an amusement park as well as many nightclubs for those who want to keep the fun going through the night. Rooms here offer an exceptionally comfortable stay. Guests will find their room well-appointed and finely-furnished with many offering amazing views over the Mediterranean Sea from the private balcony. You will find all the essential amenities you would expect from a great hotel, among which include air-conditioning, wi-fi, telephone, tea and coffee making facilities and a safe deposit box to name just a few of them. All rooms here are spacious, particularly the junior, superior and executive suites, which feature more living space. Rooms typically sleep up to four guests with double or twin beds. However, larger suites can sleep up to eight. Guests have a choice of several great places to grab a bite to eat or a drink. The main restaurant, Mermaid offers a range of traditional local dishes as well as a selection of international favourites. It also features an outdoor area and entertaining live cooking demonstrations at every meal. There are two bars on site. 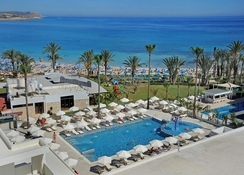 The Nereus is a cocktail bar that offers a wide selection of beers and spirits as well as cocktails whilst Flamingo is located by the pool. Venture outside of the hotel and you’ll find more great dining options, from Ocean Basket with its views over the Mediterranean Sea serving fresh seafood to Limelight Taverna offering delicious local dishes to authentic Mexican at Los Bandidos and much more besides. 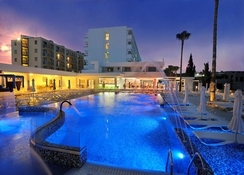 Guests have access to a comprehensive range of leisure facilities and entertainment at Nelia Beach Hotel. 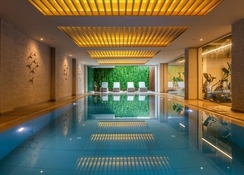 These options include the outdoor swimming pool, gym room and a playground for children. There is also an entertainment programme which puts on special theme nights. All guests are treated to a free welcome drink when they arrive as well being able to take advantage of free weekly wine tasting. Couples on a romantic escape who are celebrating their anniversary or on their honeymoon will also receive complimentary champagne and fruit. 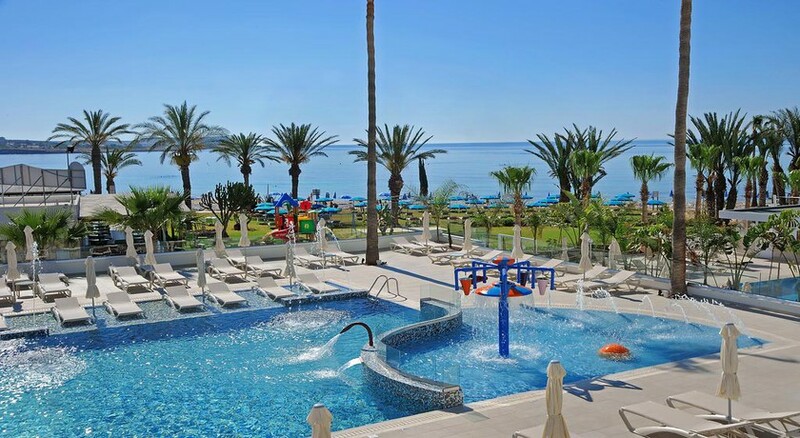 Out in Ayia Napa itself, there’s wet and wild fun to be had at the two walkable water parks, history to be absorbed at the two museums and several great beaches to choose from as well as many great nightclubs to party the night away at.